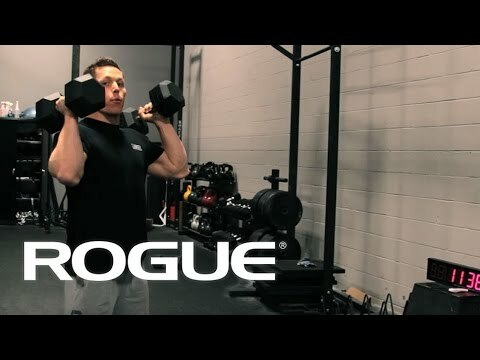 Rogue Dumbbells are sold in pairs and available in weights ranging from 2.5LB to 125LB. This standard rubber hex design is a great, budget-priced option that still delivers on quality, performance, and longevity. The heavy-duty, rubber-encased heads minimize noise and limit wear and tear (to both the bells and your flooring), while the chrome-plated handle is ergonomically designed for a firm but comfortable feel in any grip style. Or, for an alternative, higher grade option, see the fully-welded Rogue Urethane Dumbbells. Rogue Dumbbells is rated 4.9 out of 5 by 84.